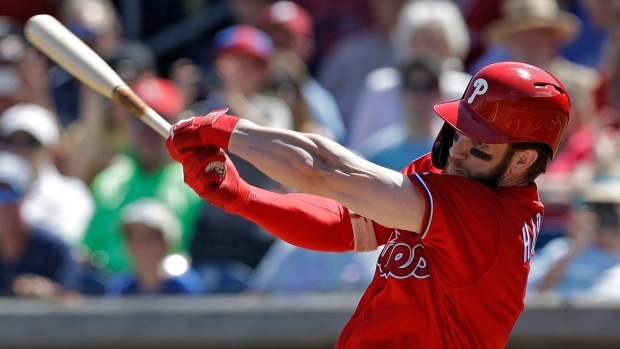 CLEARWATER, Fla. — Bryce Harper finally got his first spring training hit with the Philadelphia Phillies after a 0-for-9 start. The slugger lined a 97-mph fastball to centre on a 2-1 pitch from Detroit Tigers right-hander Spencer Turnbull in the fourth inning of Wednesday's game. He jokingly gestured toward the dugout that he wanted to keep the ball.